Tim Mullooly: Welcome back to Living With Money. This is Tim Mullooly. On today’s episode, I am joined by Ashby Daniels. Ashby is a CFP. He’s a retirement planner at Shorebridge Wealth Management. Ashby, thanks for coming on the podcast. Ashby Daniels: Thanks for having me Tim, I’m excited to be here. Tim Mullooly: Me and Ashby became friendly over Twitter, like a lot of my guests on the podcast. For the listeners out there, can you provide just a brief background on yourself and how you got started in the industry and how you kind of got to where you are today? Ashby Daniels: Sure. My path to the industry was a little bit of a winding road. I started out, I went to Virginia Tech, got a degree in accounting. My first job out of school, I worked for a regional CPA firm doing auditing for construction companies. Funnily enough, I knew about three hours into that job that it probably wasn’t going to be the job for me even though it was a fantastic firm that I started with. I’m still in touch with a lot of people that work there. I guess naturally, working with construction companies, and actually, that’s where my history had been, that’s what I did during summers in college and high school, I worked for construction companies. I decided to go be a superintendent for a construction company for a couple years since I had that experience. That kind of experience growing up definitely gave me an appreciation for what hard work really looks like. Then, in terms of how I got into financial planning, it was actually my family that encouraged me to make the move into finance. Since I was always reading the typical personal finance magazines and had been reading those since college, really. I guess finance was always sort of in my blood and I love working with people, so it was a natural fit. Then I started as an advisor at a medium size firm in the fall of 2008, like seemingly everyone else in the business, or that’s the way it seems. I ended up working there for a little over nine years, got my CFP while I was there. I really knew I wanted to specialize in retirement planning specifically. That firm just wasn’t structured to allow for that, amongst other things. I decided to shift to a new firm. I did that at the beginning of this year. I felt that my new firm, Shorebridge Wealth Management, would allow me to better serve my clients in the long run and definitely allow me to specialize in working with retirees, so I made the jump. I’ve been here about six months now and can pretty much say it was unquestionably the right move. Tim Mullooly: Cool. You know, when you’re getting started working with a client, everyone has a different process in terms of financial planning. Can you tell us a little bit about your process, when getting started with a new client and what the areas that you focus on first, and just tell us a little bit about how that process works. Ashby Daniels: Yeah, as far as the process goes, certainly starting out I think I do something that, at least I believe is relatively unique in the industry. That’s that, in the very first meeting I actually don’t want to know any of the prospective client’s financial information in the first meeting. My thought process there is, you know, I kind of believe that ensuring that we’re a good fit from a personality perspective and investing planning/principles perspective is really the most important thing when exploring a planning relationship. I think that it tends to allow for a far more comfortable conversation to start out and doesn’t cloud that conversation with too many specific questions or any judgment, good or bad, for the client. It really allows the client to come in with a clean slate and really ask questions and me to do the same, just to kind of really identify if we’re going to be a great fit moving forward. I really like to set clear expectations as far as what they should expect from me, first and foremost. I’m pretty adamant about being really clear about what my own philosophies are to ensure that they believe I’m the guy that they want to work with before they “bare their soul” to me, financially speaking. Once we’ve gotten past the initial fit meeting, as far as the areas that I focus on first, I’d say getting a real understanding of their situation and what they’re trying to achieve. Most of the folks that I work with are at or nearing retirement, so I tend to start with an estimated spending plan. It’s at least my opinion that if you don’t have a good understanding of what your expected spending is going to be then most of the other numbers are going to mean a whole lot. You can’t possibly know where you stand until you at least have some sort of idea what you’re planning to spend in retirement. The spending and life plan, at least for me, really determines what the portfolio should look like or is going to look like. Then it impacts the other decisions that need to be made. Certainly with regards to Medicare, social security, and a lot of other things. I kind of view the spending plan as the foundation. That’s really where I start the relationship, once I get past that initial interview where we really don’t talk a whole lot about finances, at least specifics, in that initial meeting. Tim Mullooly: Right. I think that that’s, like you said, that is kind of unique. A lot of people would like to just dig right into the numbers when they have a prospective client there. I think that that’s a really good way to kind of make sure that you guys are compatible as people and not just as clients. When it comes down to it, it’s more, if you have built that trust in a personal relationship with people, they’re more likely to listen to your advice when you actually start digging into the numbers. Is that kind of your thinking with starting with not necessarily financial numbers and more just getting to know them as a person? Ashby Daniels: Well, it’s getting to know them as a person certainly. It’s also about kind of allowing them to have a risk-free proposition. For a lot of people, exposing everything that they have managed to accumulate through their life, at least in my opinion, a little bit, they can feel vulnerable. I really want an initial meeting with me to be a risk-free proposition, so to speak. They can come in and feel very comfortable knowing that, A: I’m not here to judge them. Even if they’re a client or a prospective client that has managed to accumulate a lot of wealth, I view that as I don’t want to be even tempted to change my own perspectives or philosophies or anything in hopes of gaining the business. My goal is to truly identify the clients who, we seem to be a really good match to work together. That’s really the thought process is, and obviously, it would be hard for me to change any of my principles or philosophies considering they’re all posted right to my website. Part of the thought process is really just allowing it to be a stress free meeting without them having to feel vulnerable or like they’re going to be sold anything in the first meeting. Well, I don’t sell anything anyway, but it tends to lend itself to being a very open ended conversation that feels very comfortable. I kind of just started doing it as a test run initially and found that my initial meetings were so much better than they were before, that I adopted it and kept it. Tim Mullooly: If it’s working, then definitely keep going. Eliminating the stress from a first meeting is huge, get the people to feel more comfortable. For you, is it more of an ongoing process once you build a financial plan for them, or is it more of just a standalone relationship? Ashby Daniels: Every client that I work with are ongoing relationships, I don’t do any one-off engagements. My thought process is that every client that I bring on I anticipate being a 30 year relationship. Coincidentally, I’m 35 years old and feel like I have about 30 years left to go in the business, so conveniently that’s about the length of an average retirement. My thought process is that every client that comes on board is going to be hopefully a client that’s with me for the remainder of my career and throughout their retirement. That’s purely coincidence, but, yeah, definitely every client that I bring on is a full scale, totally involved relationship for sure. Tim Mullooly: You mentioned that you’re pretty adamant about your philosophies. If you could, in a couple sentences, sum up what your investment philosophy is, what would that be? Ashby Daniels: In the simplest terms, you could say that I’m a believer in passive management. There’s a lot of debate, as you no doubt see in our industry, about what the word passive actually means. I take it to mean in its simplest form that I do not employ active stock pickers. Maybe a more appropriate way of saying it is that I believe in a low cost, rules based approach. I tend to just call it passive. My thought process is that after pouring over tons of data on the subject, I just personally found it awfully difficult to come to any other conclusion, and that pretty much defined my philosophy. Tim Mullooly: Has that philosophy changed over the years at all? If so, how? Ashby Daniels: It’s definitely changed. I actually used to be an active management disciple and transitioned over to passive after routinely, unfortunately, had to explain bouts of under-performance to clients at my old firm. I just felt like there must be a better way, which led me to the passive management philosophy that I espouse, as so many other people and advisors have done. Now, uniquely though, at least I think uniquely, while performance is certainly important, it’s not actually the primary reason that I believe in passive management. I mean, I certainly think those things are important. Plain and simple in my opinion, active management is just purely unnecessary for goals based planning. I kind of think that, I’m honestly not sure what other types of planning there are if they’re not goals based, but that’s kind of beside the point. Given the data, I tend to believe that active management kind of serves as only a distraction from doing the things that are truly necessary to meet a client’s retirement goals. By shifting the focus away from the portfolio to making better overall decisions around all the areas that impact a client’s retirement, that just tends to make a lot more sense to me. I kind of view my job as to do all I can to help clients achieve their goals. Not necessarily to try to beat the market, time the market, or really do anything else that’s outside of my control. The goal is simply to help them to meet their goals with as few frictions as possible. To me, active management was just an added friction that could keep a client from meeting their goals as opposed to adding a whole lot of likelihood to achieving their goals. To me it just made a lot more sense, and so that’s been an evolution. I can’t imagine evolving from here. Tim Mullooly: Right. You kind of had a firsthand experience with, like you were saying, having to explain some under-performance to clients on the active side, which led you over to passive. I like what you’re saying about trying to shift the focus off of the performance and align it more as, the investments are just another piece of the overall goal of the financial plan. When people are approaching retirement, there’s so many things swirling through their heads. They’re stopping working. They’re most likely nervous if they have enough money. What’s going to happen? What would you say having dealt with people nearing retirement, are the top three things that a person should consider when they’re getting real close to retirement? Ashby Daniels: That’s a good question. I would say first and foremost, putting together an estimate of retirement expenses. Unless you’re one of the lucky few, excuse me, that have pensions, social security that you know is going to meet your current salary, I don’t see how anyone could have an effective retirement plan without first having estimated what their spending is going to be. I would say first and foremost, that’s where every retirement plan needs to start. Secondly, I would say fully taking advantage of the government benefits. Establishing your Medicare plan and a strategy for social security. On the Medicare side, there are significant differences, as an example, between Medigap and Medicare advantage plans that most people have no idea about because few people really take the time to educate themselves on it. I get it, it’s not fun to read about Medicare. In a lot of cases, this is a decision that you’re going to be stuck with for life, so retirees really should take the time to do that. As far as social security, waiting is often the right decision. Of course, every situation is different, but with regard to, say, the primary breadwinner, understanding how an early death can significantly impact the claiming strategy is critical, and that’s something that so often gets overlooked. Beyond that, this is probably I guess it has to be the third, simply because I think it’s drastically underestimated. That is that most people tend to drastically underestimate their life expectancy, and by extension, the impact that inflation could have on their retirement. If the average joint life expectancy is approximately 92 years old, then a couple retiring at age 62 is going to need income for 30 years. It needs to be an ever increasing income, because with inflation averaging even just 3%, that’ll actually cause a retiree’s bills to go up by 1-1/2 times. Now, the problem is with inflation though is, it doesn’t happen overnight. Because it doesn’t, people tend to ignore the issue and kind of become complacent in that regard. Based on the portfolios that I see from prospective clients nearing retirement, there’s a tendency to get way too conservative too early. The real issue there is that unfortunately, people won’t figure that out until it’s too late. 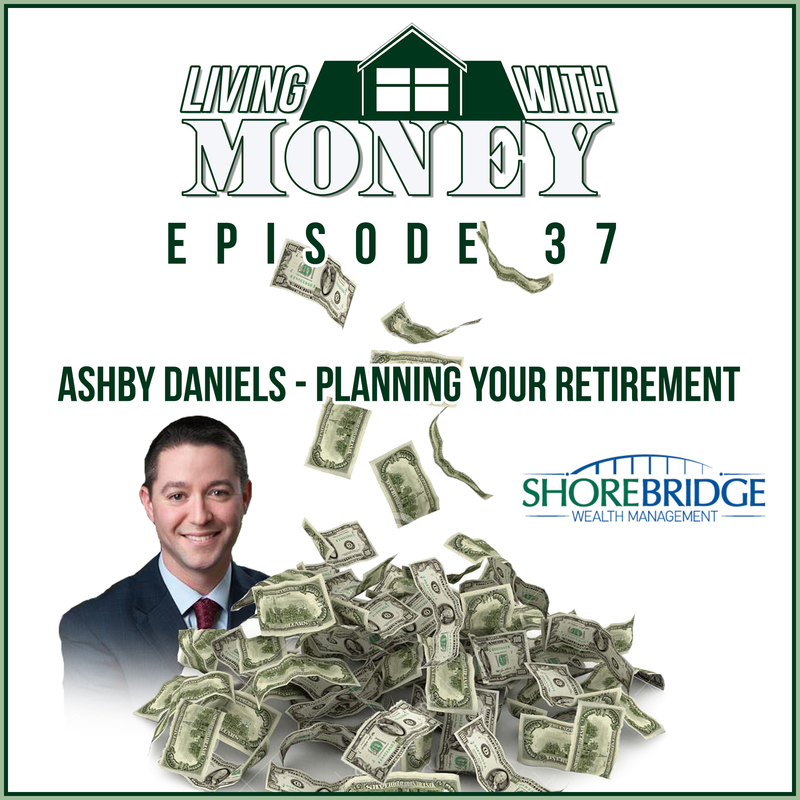 Ashby Daniels: I don’t think it’s actually a fault of the kind of average retiree. I think that it’s a problem with the fact that that was the common knowledge that, “All right, well, I get closer to retirement and then I get conservative with my investments.” The problem is not that that was always a bad strategy. It’s that the retirement landscape has evolved too much over the past 30 years. If you figure the retirees today who are nearing the end of their retirement, so to speak, when they retired in the late ’80s, the 10 year treasury was offering somewhere between 8 and 9%. Inflation was 4%. Couple that with the fact that many of those who retired in the ’80s also had pensions that covered most of their living expenses, so that really allowed them to take the conservative approach with their retirement. You fast forward to today, what’s a 10 year offering you now? 3%. Those people in the ’80s could take 4% of their portfolio out and still keep up with inflation because they were still getting 8 and 9% in treasuries. It’s just that it’s probably evolved a little bit more than what I think the average retiree might realize. Definitely, that tends to be a big issue. Tim Mullooly: Right, yeah. The factors from then ’til now have completely changed, so it’s necessary to kind of reevaluate what should be going though someone’s head when they’re getting towards retirement. Those are three good things to consider when closing in on retirement. Is there one important thing that people should avoid when they’re getting towards retirement? Ashby Daniels: Those three are pretty hard to argue against. Coming back to the social security issue, I see a lot of people who come in and make the assumption they should claim social security early. So many times, that’s not the right strategy. It has the short term and long term effect of they receive less income, both in the near term and the long term. It’s an emotional decision to go and claim social security early. A lot of retirees, when you come in, how many times have you guys at Mullooly heard, “I’m going to get it while it’s still there”? As if you’re in line at a movie theater, you’re in line at the movie theater, you get up to the window, and the guy tells you, “Well, the guy in front of you got the last one.” That’s just not the way that social security works. The biggest thing that a client should probably avoid is making emotional decisions with regard to anything associated with their financial plan. That’s really where, I know you guys do a great job at Mullooly, the best thing that an advisor can offer is the removal of any emotional baggage that comes along with making any retirement decision. To include social security, to include portfolio management, to include Medicare decisions, to include long term care. It doesn’t matter what the topic is, if you’re involving your emotions into the decision, you’re probably not going to make the best decision that could be made. Tim Mullooly: Like you said, that’s what we believe in here too and I completely agree. Trying to, and it’s a hard thing to do, is stripping out your emotions from making decisions. Do you find it difficult to try and coach these people into not making emotional decisions when dealing with their finances and trying to make their income last over retirement? Ashby Daniels: Certainly, everybody isn’t capable of setting their emotions aside. I’ll tell you, I’ve been very blessed with a pretty fantastic group of clients. I tend to think that a lot of my clients would say that one of the best things that I bring to the table is an objective viewpoint. A lot of my clients really, I have very few complaints in terms of clients being actively willing to heed the advice that I’m offering. I don’t see a lot of that, but it certainly has happened to me where a client has either sold at an inopportune time or a variety of other things, and just gone ahead and made a decision kind of against my best judgment. Those are extremely far and few between in my case, thankfully. I like to think my clients are better for it. I definitely have been very blessed with a group of clients that I think pretty much trust me implicitly. While I can’t say that for sure, that’s certainly my feeling given how people tend to take the advice. I’ve definitely been blessed on that front. Tim Mullooly: That’s awesome. Hopefully that continues for you in the future. In terms of other mistakes people can make with their retirement accounts, whether it’s someone who is nearing retirement like we’ve been talking about or maybe a younger person who is just setting up a retirement account, apart from making emotional decisions when nearing retirement, are there any other common mistakes that you see maybe younger people or middle aged folks making with their retirement accounts? Ashby Daniels: This is probably not what you might be getting at in this regard, but I think easily the answer is, at least what comes to mind initially is either not establishing beneficiaries or having beneficiary designations that are out of date. I’ve seen ex-spouses as beneficiaries on more than a few occasions. It’s especially common in 401(k) plans, and I don’t think this is, I think this is regardless of age. The number of times I’ve seen ex-spouses is too often. Especially with the 401(k) world, you run into old 401(k)s, people that have been gone from an employer for 10 years sometimes. Guess what beneficiary is still there? Whatever beneficiary they established when they joined that company. Maybe that was 15 years ago. Well, life changes a lot over 15 years. I don’t know if that’s what you’re getting at with that question, but definitely keeping up with your beneficiaries is something that I think gets so often overlooked, whether it’s with regard to having an out of state estate plan also, but certainly beneficiaries with IRAs and 401(k)s has got to be number one. Tim Mullooly: That’s definitely right in line with what I was alluding to with that type of question. For us, you see people pass away, unfortunately, without beneficiaries to the IRAs or their 401(k)s and then it just becomes a mess for the family to try and disperse stuff like that throughout the estate. For anyone listening out there, make sure you have up to date beneficiaries on all of your retirement accounts. Your family will thank you for it. Shifting gears a little bit to a really great blog post that you wrote a couple months back. It got shared throughout our Twitter community and just on different financial websites as well. It was called A Letter To Grandparents. Can you talk about what made you write that article, and what was the biggest takeaway that you hoped that readers got from reading it? Ashby Daniels: What’s funny about that post, and this is I guess what a lot kind of at least in our financial blogger-sphere have observed is, that I didn’t think it would be nearly as influential I guess you could say as it’s been. I’m still getting emails about that piece from people that I’ve never met. I guess what makes that even funnier is that I never really set out to write a post about 10 lessons from my grandfather. It actually started out as kind of a letter to my grandmother, hence the name a letter to grandparents. I started out just thinking about the most impactful observations and interactions that I guess, more specifically I kind of had with my grandfather, but also with my grandmother, and I just kept typing. Realizing kind of in that moment, excuse me, how influential he really was to me, kind of all the way through his final days. My grandfather was my hero growing up. He was a kind of larger than life figure in a lot of ways and was a true patriarch in our family. In our industry, I just felt like there’s so much focus on money, and what’s interesting is that once people pass, so few people ever talk about the money. I found that to be a little ironic, because while my grandparents, I’m thankful to say paid for my education, which is unquestionably the greatest financial gift that could have ever been given to me. The legacy that was left behind had almost nothing to do with the money whatsoever. It was all based around the time that we spent together and the lessons that I learned from them. On my blog at least, I write specifically to retirees. My hope in writing that article was simply, my hope was that grandparents would really take stock, no pun intended, take stock of their time and how they’re allocating their time and realize what impact they might be able to have on their grandchildren, just by spending more time with them and taking a real interest in them. I wanted them to think about how they’re going to spend their time at least as much as how they’re going to spend their money. The legacy that my grandparents are leaving with me, and I say leaving because I’m blessed that my grandmother still around, is that they truly invested in me personally. Don’t get me wrong, they were generous financially, but certainly it’s the memories and life lessons that are going to stick with me forever and even be passed along to my kids. Really, it was just an article to hopefully encourage generation that would be our grandparents to really think about what level of impact they can make throughout their retirement just by spending time with their children and grandchildren, I guess, more specifically in the article. Tim Mullooly: A lot of times when dealing with advisors or financial planners, it all focuses around money, because naturally that’s, building a financial plan tends to focus on the financials. When it comes down to it, a financial plan is really just a tool to help you live your best life and spend time not worrying about your finances so you can actually enjoy the time that you spend with your family or your grandchildren. I feel like that’s probably why the article resonated with a lot of people. Ashby Daniels: I love how you phrase that. A financial plan is 100% a tool to help people live their best life. That’s all it is. Couldn’t have said that better myself. Tim Mullooly: More recently you had another blog post that was published on CNBC that talked about the role of bonds in retirement. What exactly do you think is the role of bonds within someone’s retirement plan? Ashby Daniels: The role of bonds in particular is designed, at least in my opinion, to be a safe harbor in retirement. I believe in what I call a two portfolio approach to dealing with retirement. I believe that part of the reason that retirees generally don’t make great portfolio decisions stems from the fact that they retire and then they look at their portfolio as one single number. Look, I get it. They retire and they see the culmination of their life’s works in the value of their portfolio. Then, the natural inclination is to want to do everything they can do to protect it, which is totally understandable. The net effect of that causes them to get too conservative with their portfolio, which in a lot of cases, is to their future detriment. The problem is that, coming back to what we were talking about earlier, the problem is that the environment has unfortunately changed. I don’t need to rehash what the old world is versus the new world, but kind of thinking against that conventional wisdom and really looking at, instead of looking at it as one portfolio with one value, to look at it as two portfolios with two distinct purposes. The thought process of the two portfolio approach is to have two different places to pull money from or pull income from depending on the current market environment. If you have an equity portfolio for when the market is doing well, and a high quality short term fixed income portfolio for when the market is doing poorly. Fixed income in this case, because we’re using short term high quality, is because I don’t want there to be a lot of correlation with the equity portfolio. If you go into the higher interest rate, the longer term bonds, then you’re going to increase your correlation to equities, which is exactly what I don’t want. The idea is for your fixed income to be that safe harbor. Determining how much to put in each is obviously dependent on how much a client needs from their portfolio relative to the size of that portfolio. I want to mention one other thing, which I think is just funny. There is kind of an irony associated with retirees wanting to get more conservative. That is that their entire, and this is a Nick Murray thing, which is I think you’re a fan of Nick Murray as well. The irony of retirees wanting to get more conservative is that their entire investing life should be encouraging the exact opposite approach. If you look at what’s happened over, let’s just say that somebody is 62 today, well, they’ve been working for roughly 40 years. Over their 40 year career, they’ve watched the Dow climb from about, give or take 800 to what is 26,000 today. That doesn’t even include dividends. If your entire investing life shows that rate of growth, which I think if you include dividends, at least in the S&P is somewhere north of 11%, your entire life shows that this was a smart decision. Then you get to retirement and the natural inclination is to kind of put bubble wrap around that number, your final retirement number. It just goes to show that investing and financial planning is an emotional endeavor. The thought of having a two portfolio approach is really to attempt to reduce, or hopefully eliminate, many of the emotional mistakes that can come with portfolio management in retirement. Tim Mullooly: I like the idea of kind of mentally separating into two different camps there with the equities and then bonds. You’ve talked about how your writing and your work kind of centers around retirement and helping retirees. Was there a specific reason that you decided to kind of focus and speak directly to that group of people? Ashby Daniels: I actually moved over here to Pittsburgh in, I’m in Pittsburgh, Pennsylvania. I actually moved here from the DC area in 2011. When I got here, I actually found myself working with a lot of clients who are already in or nearing retirement. Once I started working with my first few retirees, I just found that I loved the subject matter. It was, in my opinion, far more complicated trying to figure out things like what’s an effective withdrawal strategy look like? What types of social security strategies exist? Making Medicare decisions, how to deal with taxes in retirement. What happens if there’s a long term care incident and how you deal with and plan for that, and so on. There were just so many more moving pieces and I love that. There’s also just so much more at stake. If a retiree makes a bad portfolio decision or fails to plan for any variety of risks, it could be the difference between success or failure. You compare that to somebody who’s just starting out, well, if you make a bad portfolio decision and you’re 25 or 35, well guess what? You still have 40 or 30 years to make up for it. If you make a really bad portfolio decision or don’t plan for one of those risks in retirement, you actually run the very real risk of not making it, financially speaking. There’s just so much more at stake and it kind of just became my life’s work, to hopefully, not only in my job and working actively with clients, but that’s why I write about it. My blog and what I do as my life’s work is hopefully dedicated to increasing the number of retirement success stories. Whether they end up working with me or just end up reading my blog. I mean, I’m fully aware I can only serve about 150 families or so. The reach of the blog is endless, which is a cool part about it. Then jokingly, it probably doesn’t hurt that I’ve been called a 60 year old in a 30’s body, or a 60 year old in a 35 year old’s body for a number of years, or I’ve been called an old soul maybe it is a kinder way of saying it. I don’t know. Ashby Daniels: I think I tend to relate well to the previous generation, and probably part of that, coming full circle, part of that probably comes from hanging out with my grandfather as much as I did. Ashby Daniels: I think that there is just so much that I can learn about life from the population that I serve, so I just truly enjoy hearing more about their life lessons and experiences. This is not to say, I have some younger clients and I love working with them too. Like I said, I’m extremely blessed with wonderful clients up and down the board. When it comes time to really dig in and specialize in something, helping people, everyday hardworking Americans really plan and hopefully increase their likelihood of success, it was easy for me to get passionate about it. That’s pretty much why I dedicated myself to working on pretty much that and only that. Tim Mullooly: Well, that’s awesome. I mean, through all your blog posts that I’ve been reading and what we’ve talked about here, it sounds like you’re doing a great job. Got a couple more questions for you before we let you go. This could either be both professional or personal, or one of both. What would you say has been the best piece of advice that you’ve ever received? Ashby Daniels: Something I come back to all the time, not surprisingly that my grandfather said to me, is cut your own path. He encouraged me really to step out on my own, even when I was 16, 17, 18 years old. He always thought it’d be smart for me to work for myself. He always had a ton of faith in me, and I think probably investing in other people, he always had a ton of faith in me that I could do whatever it is that I wanted to do. There’s a lot of people who say that, there’s few that actually live it out in their actions, and definitely cut your own path has been something that I have tried to live my life by. Tim Mullooly: For someone who’s just entering the workforce or the industry of financial planning or advice today, would you pass along kind of a similar message to them? Or, what’s one piece of advice that you would give someone just getting started today? Ashby Daniels: That’s a good question. We have a younger guy, newer guy, younger/newer guy named Mark here in my office that started in our firm around the same time that I joined Shorebridge. Something I’ve really been encouraging him to do is specialize. Figure out the type of clientele that he would really enjoy working with and then do all you can to learn every single thing you can learn about the issues that they have. Kind of like what I do with retirees. It’s almost irrelevant who he chooses. It’s just a matter of figuring out who it is that you want to serve, putting yourself in their shoes, and then figuring out what all of their issues are and go about helping people answer those questions. I think the days of the generalist financial planner are numbered. This day and age, certainly with the world of the internet, people want to work with somebody who’s a specialist. I would say even if you’re new in the business, if you’re coming into the business, specializing and figuring out who it is that you want to serve, and then doing all you can to learn all you can, doing all you can to learn all you can, I think I said that right, you will be okay. Much smaller piece of advice, read every Nick Murray book you can get your hands on. His advice is timeless. Tim Mullooly: Yeah, I’d have to agree with that definitely with the Nick Murray stuff. We’ve all read his books here at the office. It’s always great. One last question for you. Is there anything special on the horizon for you? What’s one thing that you hope to accomplish within the next six to 12 months, let’s say? Could be, again, professional or a personal goal. Ashby Daniels: Well, you’ve helped me accomplish one. Being on the podcast, I was excited about that. I’m really big into the sharing of ideas across the industry. You know, I’ve talked about it that, look, I realize that I can serve about 150 clients. There are plenty of great people that need serving, and so I’m really big into the sharing of ideas. I think one of the things that I would really hope for over the next year is to meet more people in our industry and share information together. Really, just learn from one another, because certainly there’s still a zillion things about financial planning, that’s why I love it, is there is always something to learn. I think establishing more relationships, hopefully in person but online if necessary, and really getting together and learning from one another. One thing that I think is really unique, and that’s how as an example, how we met and how a variety of our other friends have met, whether it’s Justin or Brad or Joe or whoever, it’s amazing to me that we’re seeing advisors all from different companies that all are working for the greater good. It’s a really exciting time to be in our industry because the walls of competition are kind of falling in a lot of ways. That’s certainly something that I’m really interested in doing, is hopefully meeting more people in our industry in person, online and email and whatever other ways if need be. I think really sharing ideas with other people is going to be what I hope to accomplish over the next six to 12 months, for sure. Tim Mullooly: Be a great goal to have over the next six to 12 months. Ashby, that’s all the questions I had for you today. Thanks again for taking the time to be on the podcast. Ashby Daniels: Awesome, thank you so much for having me. I really appreciate it. It’s been a pleasure and I’ll look forward to catching you on the other side. Tim Mullooly: All right, so for those listening out there, I’m going to link in the show notes to Ashby’s blog, all the different posts that we’ve talked about as well. Thanks for listening to this episode of Living With Money, and we’ll see you on the next one.